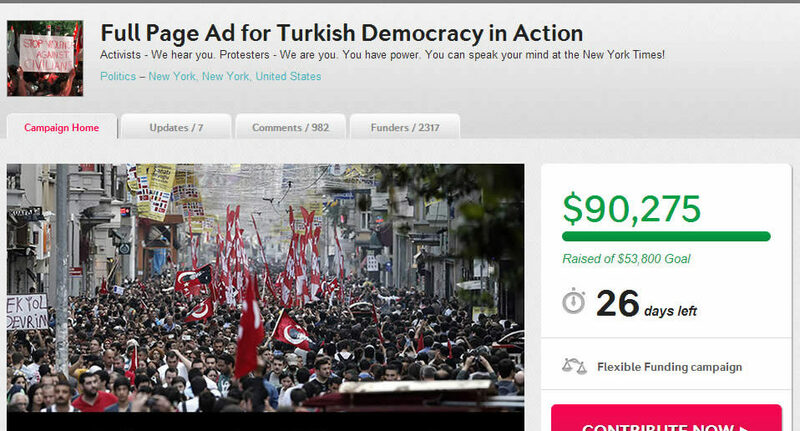 The protests are continuing for the sixth day in Turkey, but in a unique twist, the protesters have crowdfunded an full-page advert in the New York Times to try to explain to the world their motives and aims. Using the popular crowdfunding site Indiegogo, the protesters raised the funds in only a couple of days, and now have double the mount and are looking at how to spend the rest of the money to support the protests with a thread on Reddit – possibly making a documentary. We’ve seen crowdfunding being used for everything from new albums and tv shows to gadgets and startups, and now we can add explaining international protests to the wider world to that list.